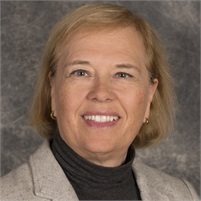 Susan Schaefer | Georgetown Financial Group, Inc.
Susan holds a B.A. degree in chemistry from the University of Connecticut, and she has an M.A. degree in corporate communications from Fairfield University. Susan spent the last 25 years building GFG’s health care & employee benefits practice, and has established relationships with many small-to-mid size businesses in the metropolitan NY area. Most recently, Susan has spearheaded GFG’s efforts to provide Medicare Supplement insurance to senior clients in CT and NY. Susan is not affiliated or registered with Cetera Advisor Networks LLC. Any information provided by Susan is no way related to Cetera Advisor Networks LLC or its registered representatives.